On January 23, 2014, huge orbs of light appeared in the sky above Naha, the capital city of Okinawa Island, which is part of Japan. Naha has a population of over 300,000. 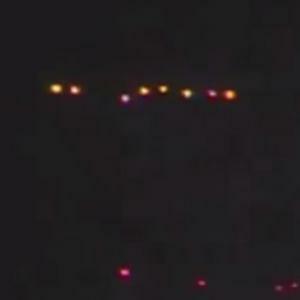 The lights hovered in the same location without descending for 15-20 minutes. They made their signature triangle formations before moving into almost a straight line. Once in the line, they proceeded to put on a very impressive light display!